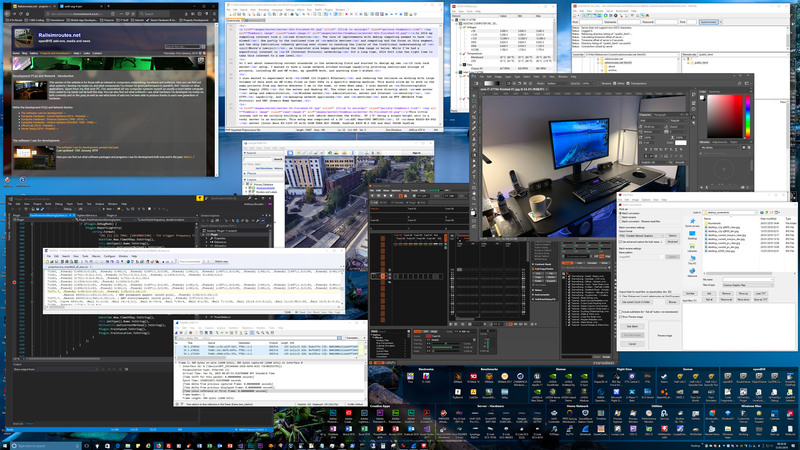 I use a variety of software for openBVE add-on development, programming, and website design, activities which utilise a wide range of file formats. I also do some creative work using the Adobe Creative Cloud software suite. For openBVE add-on development, the primary tools are openBVE's Route and Object Viewer utilities, together with Notepad++ and TextPad for edting text files, and Batch-RegEx for complex search and replace operations. Where textures are concerned, I use Adobe Photoshop; in the past I've used Paint Shop Pro and GIMP. For editing audio files, I use Goldwave, but now also use Adobe Audition and Audacity. My YouTube videos were edited using Ulead Media Studio Pro and VirtualDub, and encoded using the Xvid codec prior to being uploaded. Should I create any new Youtube videos, I'll be using Adobe Premiere Pro for the timeline editing. Where programming and coding is concerned, I use Microsoft Visual Studio 2017 for coding in C#. I also write some code in Microsoft Visual Basic for Applications (VBA) via Microsoft Excel's VBA Editor, while using the aforementioned VS2017 to assist with formatting the code. I've dabbled with other programming languages too, where I used CodeBlocks and Dev-C++, and in the distant past, Borland's Delphi. This website is designed using several tools, mostly Notepad++, but also Microsoft Visual Studio 2017 to assist with formatting, as well as Adobe Photoshop and IrfanView for the images. I use FileZilla as my FTP client on locally networked machines and for webhost uploads. When I'm uploading to my server remotely via VPN, I use CyberDuck instead, as it doesn't use the Windows APIs to display "local" folder names on the VPN connected machine(s), which is very slow and seemingly buggy in Windows 10. Website testing is performed with various browsers, but my browsers of choice for everyday use are Mozilla Firefox on Windows and Safari on macOS. A range of network appliances are built into my 19" 42U rack server, including a Xeon server running Microsoft Windows Server 2016, and various Linux server installations such as Ubuntu Server running in Hyper-V virtual machines. Windows Remote Desktop Connection is used to administer the server when the 19" console unit isn't being used. The rack server hardware runs a variety of programs, daemons and services, either in dedicated virtual machines or physical machines, such as FTP, HTTP, PHP, MySQL, RADIUS, VPN, DNS, NTP, DiskStation, SysLog, Squid, and so-on. This setup is used to serve webpages, act as a mirror for files on Railsimroutes.net, store files, administer CCTV, and to be a general web development platform and fun project. 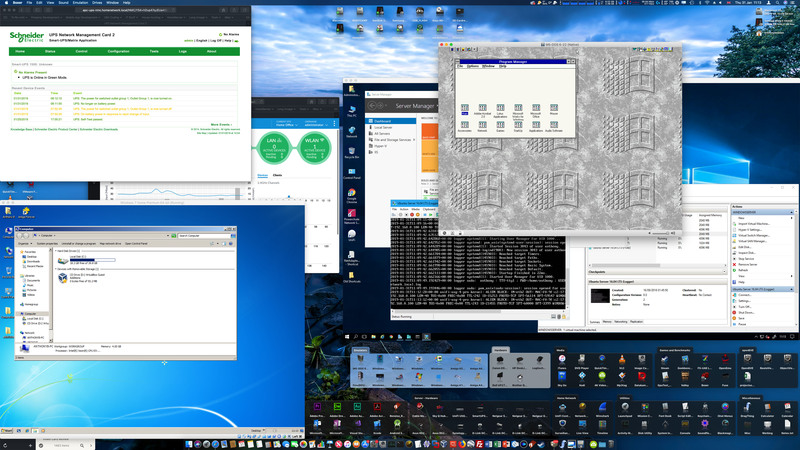 I quite frequently use VirtualBox on both Windows 10 and macOS, along with VMWare Workstation Pro on Windows and VMWare Fusion on macOS for any testing I need to do with other operating systems on my desktop PCs, or if I want to use a sandboxed environment for any reason, or just for the pure nostalgia of running Windows 3.11 For Workgroups or Windows 95! I use DosBOX on Windows and Boxer on macOS, for running DOS games an early MS-DOS based versions of Windows. I also use WinUAE as part of Cloanto's Amiga Forever to relive some of the great Amiga Workbench 1.3 and 2.0 days! I also use a variety of utilities in the course of using my systems and maintaining them. 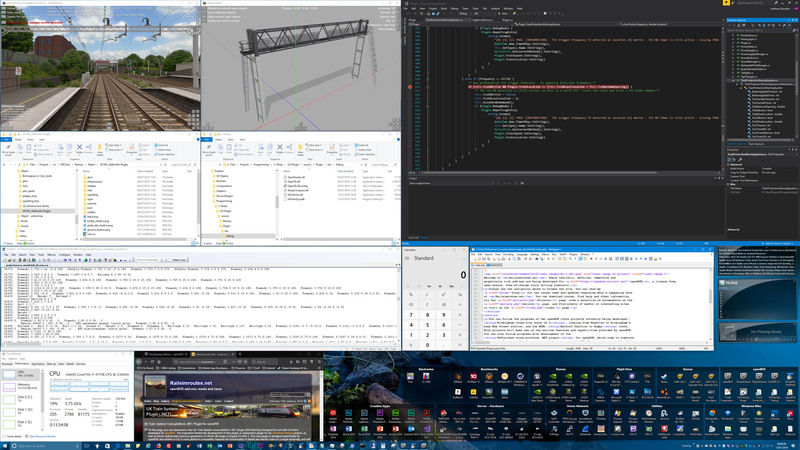 For Windows 10 customisation, I use Winaero Tweaker, Stardock WindowBlinds 10, and Stardock Fences. 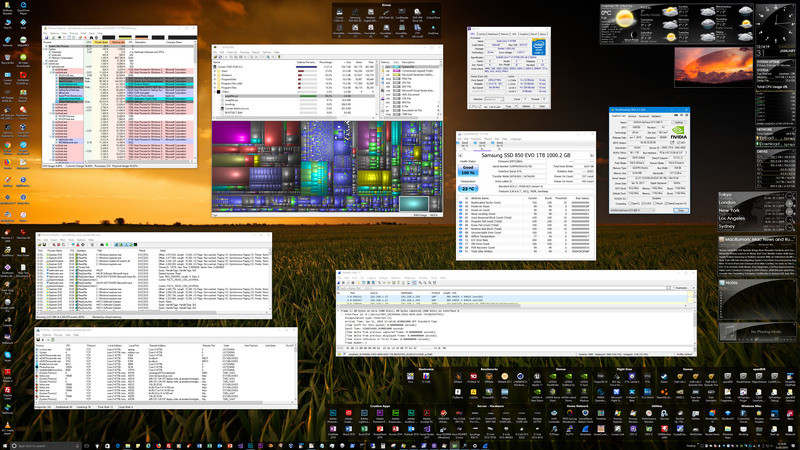 For system maintenance and monitoring, I use HWMonitor, CPU-Z, GPU-Z, CrystalDiskInfo, WinDirStat, and SysInternals utilities including TCPView, Process Explorer and Process Monitor. 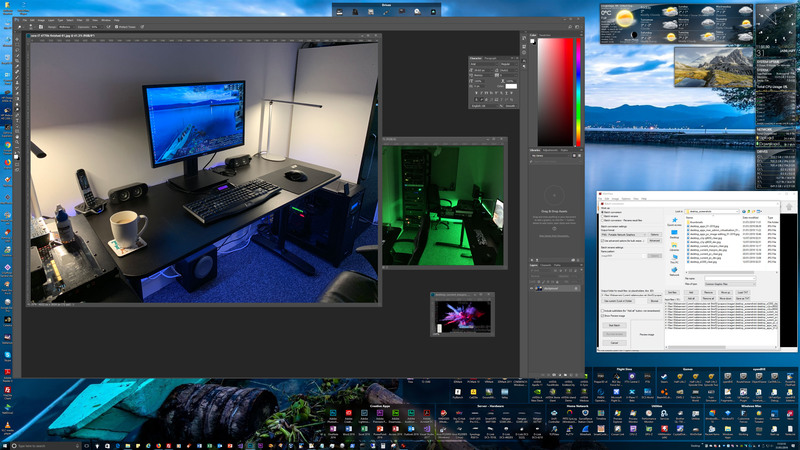 I have also invested in 5K and 4K monitors running at 5120x2880 and 3840x2160 resolution respectively. The extra space makes a huge difference in terms of productivity and comfort.